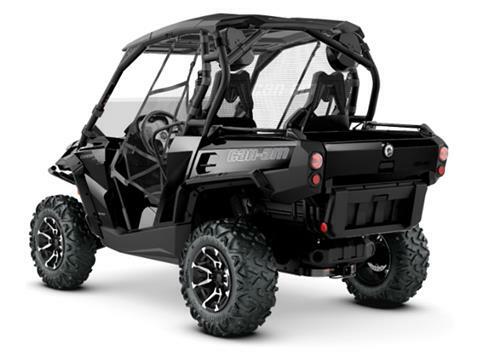 Take the ultimate ride with a fully-loaded side-by-side vehicle. 92-HP ROTAX 1000 V-TWIN ENGINE: Liquid-cooled, 8-valve Rotax 976 cc V-twin pumps out 92 horsepower, yet is refined thanks to EFI and iTC. The liquid-cooled, single overhead cam power plant features 4 valves per cylinder, fed by a 54-mm Bosch‡ throttle body and 2 sophisticated VDO Siemens‡ fuel injectors. FOX 2.0 PODIUM QS3† PIGGYBACK SHOCKS: These new high-performance front and rear FOX 2.0 PODIUM QS3 shocks allows riders to easily dial-in their suspension setup tool-free. Through a 3-position knob, suspension can be easily adjusted depending on the terrain or your riding preference. Turn the knob to position 1 to get a smooth compression optimizing comfort and performance for the long rides, or go to position 3 to get that high-performance race-ready suspension. 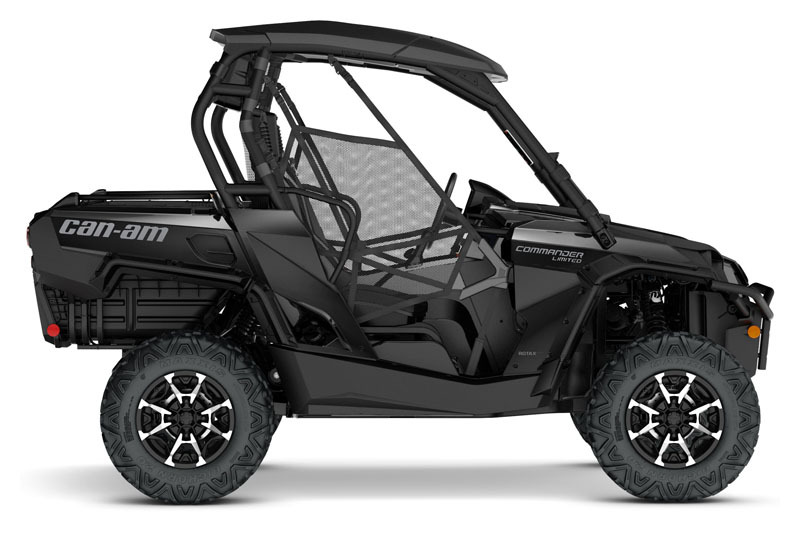 INTEGRATED GARMIN® MONTANA® 650T TOUCHSCREEN GPS: Can-Am partnered with leading GPS manufacturer Garmin to equip the Commander LIMITED with an integrated touch-screen Montana 650t GPS. 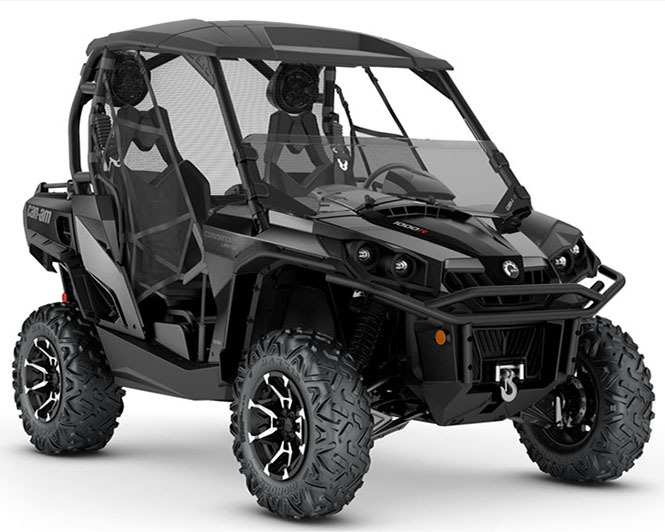 Features 5 MP camera, preloaded topographic maps, 4-in color display, barometric altimeter, 3-axis electronic compass, wireless data sharing, and more. HALF WINDSHIELD & PREMIUM ROOF: The half windshield offers stylish protection without the airflow restriction of a full windshield. Plus, our two-piece hard roof is designed to be durable and attractive, while letting you customize your vehicle as you like it. Fast, easy, and toolless installation and removal.